The new hotels will provide guests access to bald eagle watching, the Figge Art Museum and the John Deere Pavilion. 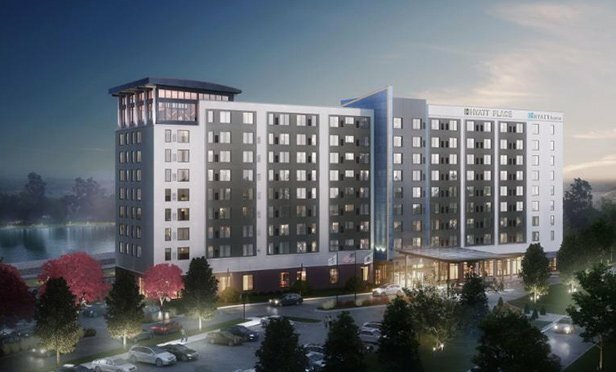 EAST MOLINE, IL—Situated along the Mississippi River in East Moline, IL, Hyatt Place East Moline/Quad Cities and Hyatt House East/Moline Quad Cities are expected to open in December 2018. The twin nine-story hotels will offer upscale comforts for both leisure and business travelers, a ninth-floor lounge with panoramic river views, as well as access to miles of unobstructed riverfront and a bald eagle habitat.